MUTOH HOLDINGS CO., LTD. is a Japan-based company primarily involved in the development, manufacture and sale of infographic-related equipment. The company operates in four business segments. Infographic-related Equipment segment offers large-format inkjet printers for graphic arts, computer aided design (CAD) plotters, industry-specific plotters, imaging scanners and other related supply products. The Information Services segment provides services for CAD and related software, as well as software development and system integration services. The Real Estate Leasing segment is engaged in the leasing of real estate. The Others segment offers drafting and design equipment, optical measuring equipment, office equipment and stationary, among others. This segment is also engaged in the restaurants business. 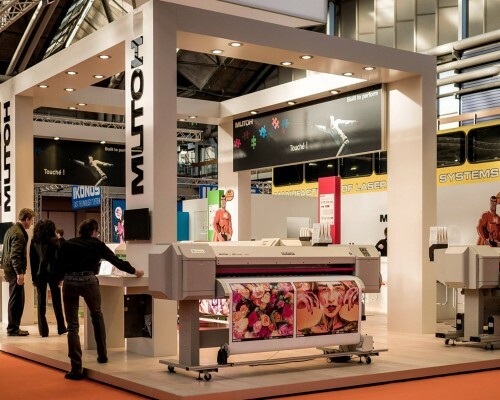 What is MUTOH North Europe? Mutoh has been a leader in the drafting machine industry since the introduction of the “DRAFTER®” machine by Mutoh Industries Ltd, Japan, in 1953. Mutoh Japan was also the first to bring to market the revolutionary concept of the pen/pencil plotter for CAD applications in the 1980s. Mutoh Belgium was founded in the early 1990s as Mutoh Industries’ development and manufacturing plant for the European market. With the PC revolution and the venue of inkjet technology, Mutoh Belgium gradually evolved to become a major player in the European market of output peripherals for commercial inkjet printing and sign making applications. Sesoma-Sericomex Group was the leading supplier of equipment and materials for the sign & display and industrial visual communication markets in Scandinavia and the Baltic States until 2008 when Mutoh Europe acquired their holding company SE Group S.A., Luxembourg. SE Group S.A. was later organzed directly under Mutoh Holdings Co., Japan, and changed its name in 2011 to MUTOH North Europe S.A.
Worldwide, the Mutoh Holdings group generates an annualized turnover of more than € 200 million and employs about 700 people. Sesoma UAB was founded in 1995. Representing the world’s leading wide format printing, textile printing, screen-printing and laminating equipment and materials manufacturers, it has become one of the most successful visual communication market leaders in Lithuania. Hand in hand with changes in the market, today Sesoma UAB is top quality wide format printing equipment, advertising materials and production technology professional. Only by constantly monitoring technology innovation, Sesoma UAB is ready to offer its customers cutting-edge solutions for implementing the most unexpected advertising production ideas. Further on strengthening its position in the visual communication market by providing the market with quality products, timely and professional technical support, comprehensive equipment service and acceptable price. Sesoma UAB always finds the best solution for its customers and is growing together with its clients! Since 1997 Ltd. Rigas Sesoma SIA works successfully as a distributor of advertising materials and large format digital printers, various cutting technologies, screen-printing and laminating equipment in Latvian market. Its specialty is high-quality equipment and materials, as well as advice and service. Rigas Sesoma SIA offers to its clients a wide range of materials from a warehouse in Riga and supply a high-quality equipment from all over the world. It works with the world’s leading manufacturers of equipment and materials, and constantly follow the technological developments in order to offer its customers modern and competent solution. Rigas Sesoma SIA finds the most effective solutions for its customers and grows up with the growing customer regiment! Sesoma OÜ has been operating successfully since 1993 in advertising and silk screen printing materials and equipment – adhesive film cutters, silk screen printing equipment, laminators, digital printers – import, sales and advising clients in the Estonian market. Sesoma OÜ offers a wide selection of high quality materials and equipment, and works with the world’s leading manufacturers in the sector – constantly upgrading and expanding product range, in step with technological developments and providing customers with the best modern solutions. Sesoma OÜ will help you to find the best solutions! Sesoma OY has been serving the visual communications professionals in Finland for over 30 years. Visual communication has evolved considerably over the years, but always with the aim of reaching the viewer in the most exciting places. Sesomas products have always been strongly involved along the roads, stores, houses facades, business gifts, trade fairs. Know-how and product range increase does not replace professional service. For this reason, Sesoma trains its staff and customers on a regular basis. All developments should be reflected in Sesomas customers with a better service and a wider supplies. Advertising materials and especially digital production systems has been unprecedented speed in recent years and product information changes on a weekly basis. Sesoma is growing hand in hand with these developments. Sericomex Sweden AB is one of the leading suppliers of machinery and materials to producers of visual communication. Sericomex started in 1989, making it one of the industry’s oldest companies. Together with companies in Finland, Estonia, Latvia and Lithuania, incorporate Mutoh North Europe Group. The principal owner is Mutoh Japan – amongst other things, a world leader producer of small and medium-sized printers for this business area. Group together with its owner, makes it one of Scandinavia’s the most competent and financially strongest companies. It will work with the customer, collaborate on common success. With its staff and suppliers, Sericomex has a broad and high-quality knowledge and always wants to deliver both innovative and safe production solutions. No matter what the customer needs, Sericomex provides a qualified solution. With access to technical experts from Japan, Europe and Sweden with a large buying group, Sericomex is the obvious first choice as a partner. 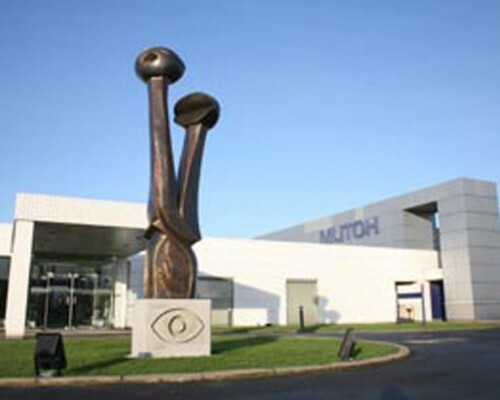 Founded in 1991, the Mutoh Belgium’s activities encompass sales, warehousing and logistics, technical and commercial marketing, product support and after-sales service of Mutoh hardware (professional sign cutting plotters and large-format full-colour piezo printers for commercial inkjet printing, sign & display, soft sign and direct-to-garment applications). Mutoh products are distributed via a wide network of Authorised Resellers and Channel Partners trained by Mutoh for sales, installation and after-sales support. For further information, please visit www.mutoh.eu. Founded in 1987, Mutoh Deutschland GmbH acts as a sales & support centre for the German-speaking countries and Germany’s neighbouring countries. The Düsseldorf office also functions as direct marketing support and training centre for Mutoh Certified Partners (MCP) all over Germany. For further information, please visit : www.mutoh.de.